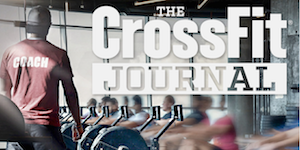 CrossFit is an hour long functional fitness class that will push you across multiple types of fitness. It will help provide a base for developing strength, cardio, and dexterity. The workouts are tough but can be made to fit anyone regardless of where you are starting from. Free State Barbell Club is a USA Weight Lifting Member Club. It is a team dedicated to coaching and developing members through Olympic lifting. The club is for anyone age 8+ who is looking to develop better strength, body awareness, and athletic skill. Barbell Club is something the whole family can get involved in. This one-on-one or small group approach lets us work with you on achieving your own personal goals. During these periods we will work on building personalized plans that encompass fitness and nutrition to help you become your best you. Click on the button to schedule your No Sweat Intro session.